Ha-Noi - I was not sure whether I would like this city or not. The evening we arrived it was to drama of dealing with dodgy taxi drivers either overcharging or with high charging meters, I was disappointed and my heart sunk thinking that Vietnam was going to let me down. However, the next morning upon the arrival of Emma to our journey for the next 10 days, Ha-Noi started to grow on me. If ever there was a city where life is transacted on the street Ha-Noi is it, with the exception of India, Kolkata especially, I have never visited a city with such a passion for exposing its everyday life to all and sundry, but with a fantastic buzz and display of its glorious culture. There is a witching hour to Ha-Noi in which the streets are pretty much deserted but between 6.30am and 11.30(ish)pm the city is alive. One could argue that most cities are like that but it is with pretty much timed precision that this city comes to life and closes up and goes to bed. We spent overall 4 days in Ha-Noi before and after our Sapa excursion but as each day passed I grew to love it more and more, even the early morning Communist Broadcasts (6.30am) offering the new day’s fill of propaganda and bureaucracy became an enjoyable experience, chuckling to the monotone yet vibrant Vietnamese voices that trumpeted all the latest news and affairs through the cities loudspeaker system which had been around since the 50’s. Arguably this was annoying when you are being woken up in the mornings, but you get used to it or you had get a better room away from the street! 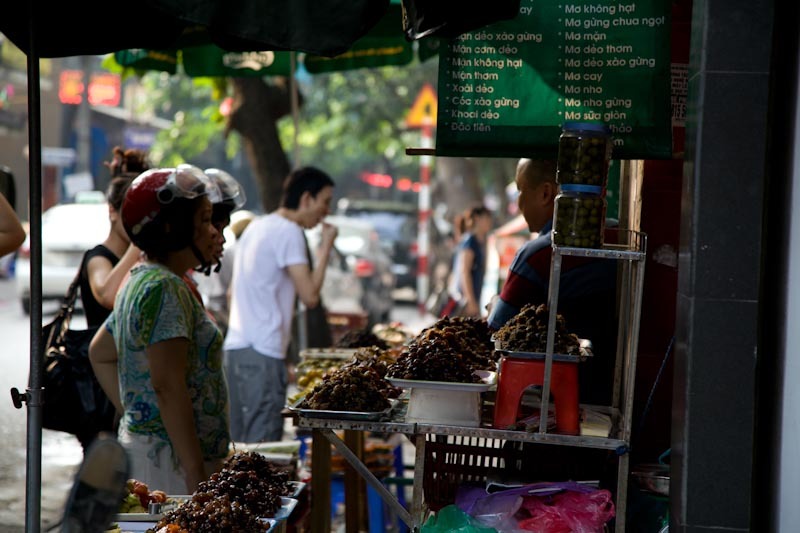 Everything is available on the streets in Ha-Noi and the city is proud of its heritage and the hawkers and shopkeepers keep the city going on the fast paced streets. The range of affects on offer is best seen in the examples of food, the street offers all shapes and sizes of Vietnamese cuisine served by anyone and everyone. From Mothers with a little stall in front of her house, to women carry two baskets on her yoke with her mobile food shop to large scale restaurants right there in the street. 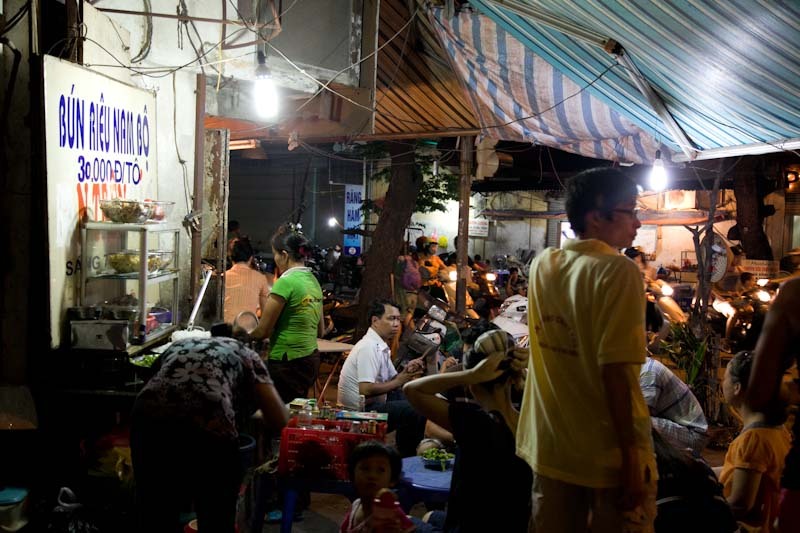 Its an amazing experience observing Hanoians drinking beer, eating Pho watching other Hanoian’s go about their daily lives whilst they are danger close to the curb with I suspect at least 25% of the worlds motorbikes/scooters/mopeds flying past (more on them later). Hanoi has districts aplenty and their wares are on display and on the street for the masses! We only touched on the city wandering the streets of the Old Quarter, Hoan Kiem and Ba Dinh but what we saw was enough to entertain for a lifetime.